This is probably one of the rare few that is still making their chwee kueh on site as most of the stalls are selling those that are factory-made. 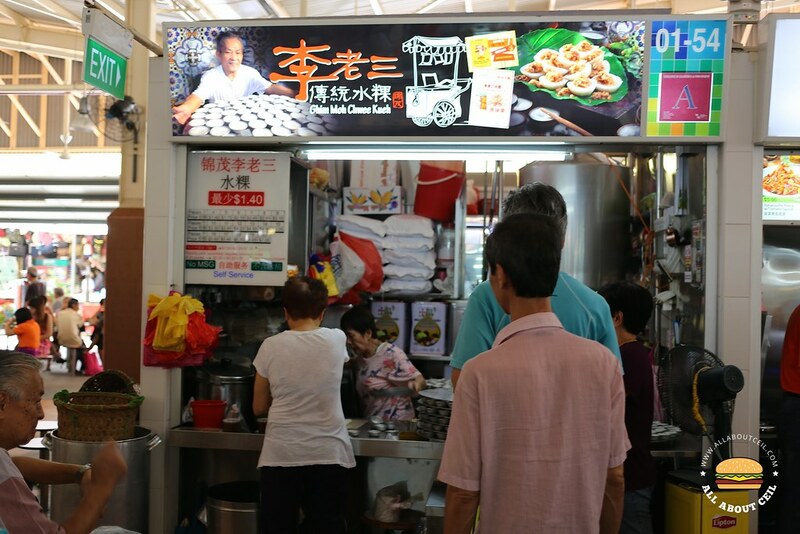 The owner of this 57 years old famous stall is an elderly Uncle that started when he was 8 years old helping his mother selling chwee kueh on a pushcart near Alexandra Hospital in 1959. After all these years, he is still diligently doing so together with his wife, they passionately mixing the rice flour with water then pouring the mixture into those 1500 aluminium moulds in the early morning to steam it and they are doing it every day. They are still doing it the traditional way that has been passed down. Everything is made fresh, from the chwee kueh to the cai poh and their chilli, with no MSG added. There is a minimum order of 4 pieces at $1.40 and to have it pack separately from the ingredients, you will have to order 20 pieces at $7.00 and pay an additional of 0.20 cents. Their chwee kueh is softer than the others out there. Apparently, it is not just by mixing rice flour with water and steaming it but takes years of experiences to perfect it. 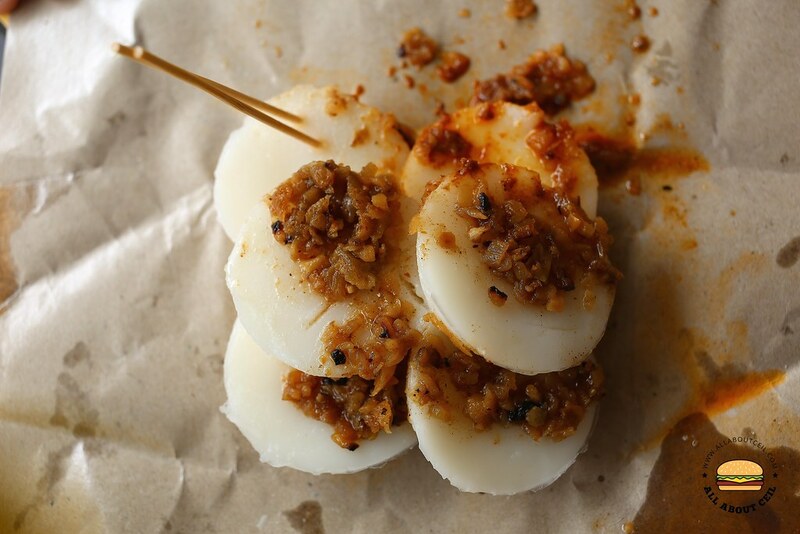 Their cai poh (preserved radish) tasted different from the others, it is done based on a traditional recipe using ingredients like garlic, pork lard and cai poh. It is not added with sugar thus it did not have the sweet taste and also, slightly saltier. However, the spiciness of the chilli has added flavour. Somehow, you might not get used to this traditional taste if you prefer a sweeter cai poh like those at Jian Bo or Bedok Chwee Kueh. 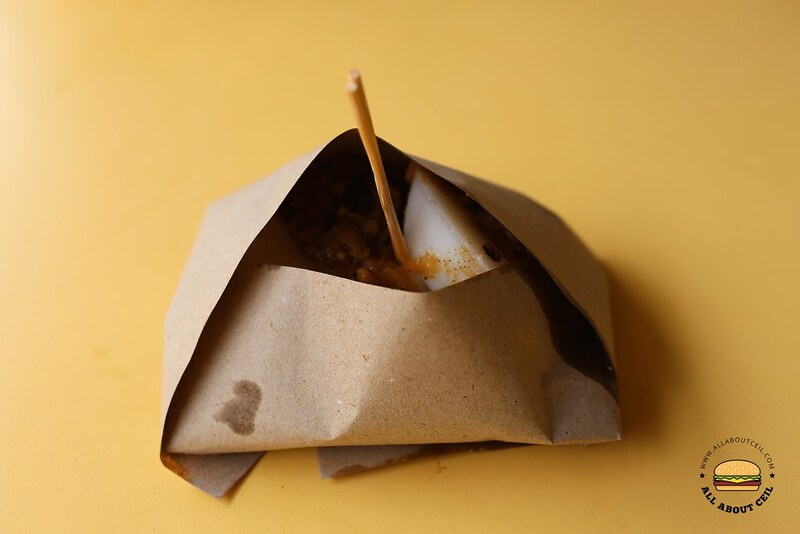 Nonetheless, this is one of the remaining traditionally handmade chwee kueh stalls around and how much longer would they be around?